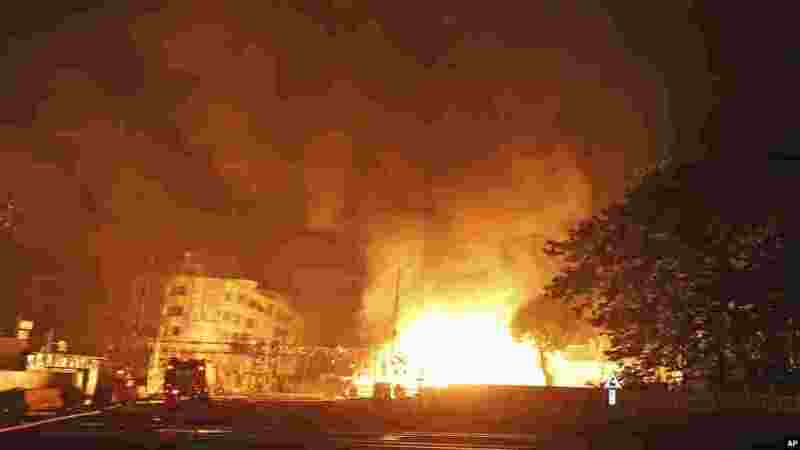 A series of powerful gas explosions rocked the southern city of Kaohsiung, Taiwan, late Thursday, according to city officials on Friday. 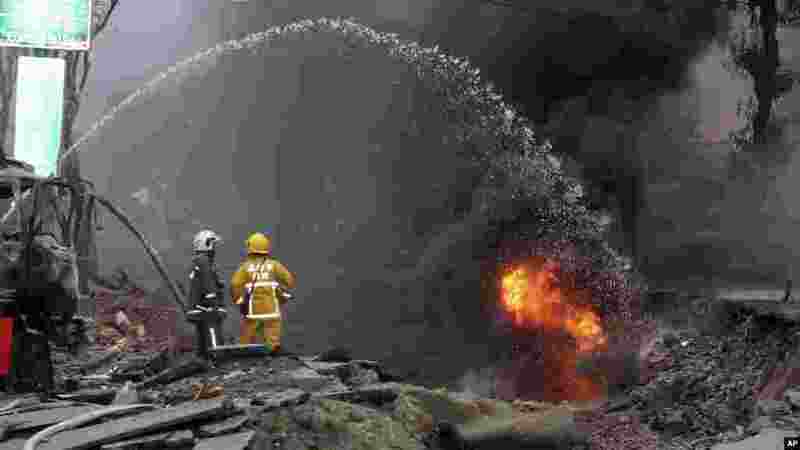 1 Firemen put out fire on the part of a destroyed street as fire continue to burn following multiple explosions from an underground gas leak in Kaohsiung, Taiwan, Aug. 1, 2014. 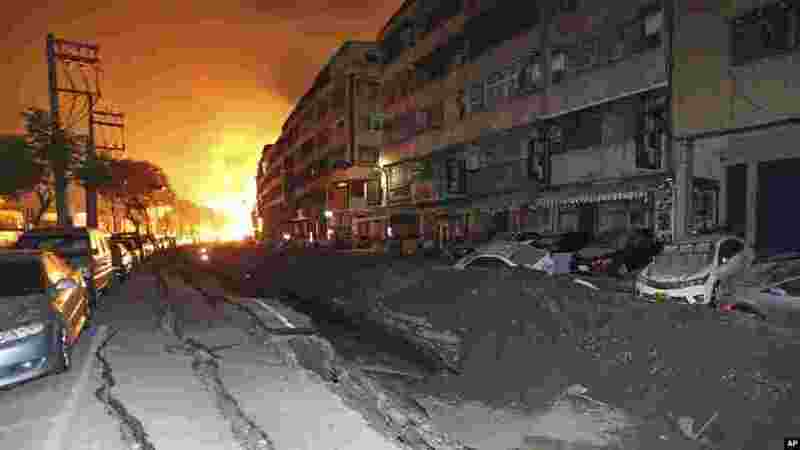 2 Tossed vehicles line an destroyed street as flames continue to burn from multiple explosions from an underground gas leak in Kaohsiung, Taiwan, Aug. 1, 2014. 3 Flames from an explosion from an underground gas leak in the streets of Kaohsiung, Taiwan, Aug. 1, 2014. 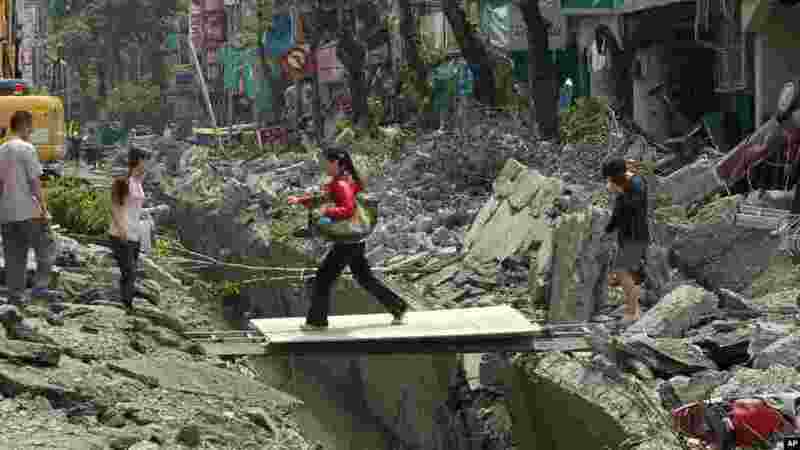 4 A woman crosses over a trench made from a massive gas explosion in Kaohsiung, Taiwan, Aug. 1, 2014.